I am writing with regards to the recent unpleasant experiences I have had with you and fellow members of your species. If I may, allow me to begin by drawing your attention to the typical quirks of British behaviour, specifically the values of the Britons residing in London. The City of London is a cosmopolitan one, and – I like to believe – inclusive. Yet, I am sure none need reminding of the unspoken and unwritten conventions that regulate public behaviour. One need only think of journeys on the tube to know that London commuters favour minimal eye contact; exchanges between strangers rarely ever extend beyond “Hello, how are you? – Fine, and you? – Fine”, before both parties move on; and, unlike in the colder, northern recesses of the country*, Londoners are not over-friendly, and never too close. Your kind, on the other hand, despite starting out more British (in this particular regard) than we ever were – flapping away as soon as a fellow human got a little close – have become so accustomed to our presence, that our behavioural norms concern you no more. No longer do the habits of Londoners influence you. Oblivious to our customs, it is as if you have lost all regard for our personal space, caring not for offending us with your total disregard for it. Allow me to take this opportunity to remind you that, I, for one, value my personal space, and consider your ‘closeness’ to me an invasion of privacy. Swooping directly above me – flaunting your superior ability of independent flight – is tolerable, but flapping your wings mere inches from my face is NOT okay, and trying to eat my sandwich with me is most definitely NOT okay. On behalf of my fellow citizens, I request and implore you to adopt more British values, to learn from the way we interact with each other and implement your findings in your interactions with us. While I understand that societies and cultures are constantly transforming, and in fact, I encourage societal and behavioural advance, the changes as dramatic as the ones you are attempting to enforce take many generations before being accepted. I would very much appreciate if the issues highlighted in this letter are considered seriously, allowing us to work together to foster a relationship of mutual respect and distance, benefiting both the humans and the pigeons of London. I look forward to working with you, and thank you in advance for your cooperation. *It’s called a joke, guys. I’m pretty much one of you; take no offence. Posted in Post-Beijing and tagged British, culture, funny, humour, London, pigeons. Bookmark the permalink. Before the surprise even registers in your mind, yes, yes – I am still around. Just quickly accept that and pretend this post is nothing unexpected. I know I’ve been quiet for over 6 months, but now is not the time to offer any reasons or explanations for my absence. Rather it is the time for fresh starts (perhaps not for my blog though), and even though I’m still late on the bandwagon with this, Happy Chinese New Year! The truth is, I’ve been missing China more than usual in the past couple of weeks, and the New Year celebrations only served to make me more nostalgic. Last Friday, in an event organised by us, a SOAS lecture hall was transformed into a Chinese scene, for an evening of performances and food to inaugurate the Year of the Horse. I have a few pictures of the evening, and though they’re not particularly clear (in fact, they’re pretty rubbish quality, but there’d be no substance to this post without the pictures) many of the performances themselves made us very nostalgic. The group below had come from a primary school in Beijing. They gave a performance to be admired, especially given how nervous they must have been! In a presentation about Chinese culture, this picture just goes to show the important role that alcohol has to play. And finally, despite not being the final performance, the last pictures I have are of this very traditional Han dance, complete with fans. Posted in Post-Beijing and tagged culture, London, New Year, SOAS, university, Xinjiang. Bookmark the permalink. It’s been a while since I posted. Again. As mentioned in my last post, my laptop has been totally unusable from a few days after final exams finished, then I was off travelling, and then the last week in China was pretty hectic anyway. Yes, I’m now back in London, but I can still say that I was in Beijing last week! That’s something, right?! I arrived back last Friday evening, and… I already miss China. It feels very surreal (still), and I have this feeling like I’m still supposed to be going back. I can’t be staying here, like, permanently now, can I…? Don’t get me wrong, London is an amazing place to live and I love it (don’t talk to me about prices, don’t talk to me about prices, don’t talk to me about prices….) but my year abroad in China has been full of so many amazing (and some less so amazing) experiences and I am 100% glad I did it. No regrets whatsoever. More of that later, maybe. 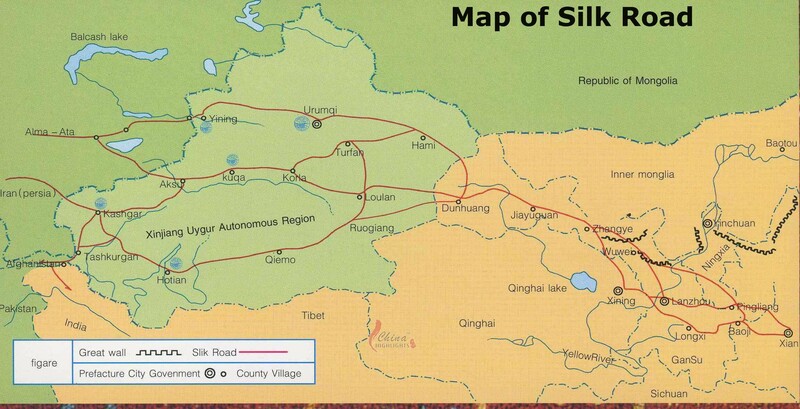 But for now, I’m gonna go back almost a month to the 11th of June – the start of my travels to China’s far West: Xinjiang. During our travels, I wrote the old-fashioned way, on paper – so here goes typing it up and inserting pictures, of which there are many! After landing at the airport in Urumqi, one of the first things I noticed that I thought was pretty cool was seeing signs in Chinese, Uyghur AND English. We made it onto a shuttle bus into the city, on which the only seats remaining were one right at the back squashed between luggage and the men to which the luggage belonged, and one seat up at the front next to the driver. Coordinating where we should get off wasn’t made any easier this way, shouting across the minibus, earning us stares from the other passengers. Nevertheless, by the time we got off somewhere on the road our hotel was on, both Beth and I already loved the city. Unfortunately, local buses still confused us, after getting on two that didn’t get us to the right place, we took a taxi…which drove about 2 minutes back up the road, and dropped us off opposite our hotel. After dropping our stuff, we decided to go to one of the city’s main parks which wasn’t too far from us, Hongshan Park (Red mountain park), named for a red pagoda at the top of a hill inside the park. As soon as we left the hotel and made to cross the road, Beth grabbed my arm and shouted “CAKES!” and started pulling me towards a little shop she’d noticed just a couple of doors away from our hotel. Of all the little bakeries and similar places I’ve seen in China (mostly Beijing) this one was by far the best…it could win on one factor alone: It was clean. We bought a few each, sat down and ate, at which point I counted all the different baked goods on sale and panicked when I reached 30, realising that would mean eating 10 a day if I wanted to try them all before we left Urumqi. Yeah…they were that good. This little bakery was where we learnt our first word of Uyghur: Thank you – which is pronounced ‘rahmet’. As we were entering the park, we saw a guy selling yoghurt…and decided to buy some. We realised that if we wanted to keep eating this way, we might as well forget set mealtimes. Who needs mealtimes anyway, when you have so much to choose from all the time… and so little time to actually choose? He filled cups with cold yoghurt out of his mobile fridge, added sugar and nuts on top, and only half-smiled when we said ‘rahmet’. But when we asked if he could tell us how to say ‘tasty’ in Uyghur, he smiled more and replied: I don’t know, I’m not Uyghur, I’m Hui. I don’t think anyone who wanted to cherish their life would willingly try to cross that road…from up there. On another part of the railing, there were countless padlocks crammed onto any free space, engraved (scratched, to be more accurate) with the names of friends or couples… Beth correctly pointed out the romance in what the padlocks symbolised in terms of relationships. After the park, we tried to find the well known International Bazaar because the hotel reception desk had told us that the Wuyi Night Market (famous for its many different food stalls) had closed down, something we had not come across in our research. We found another small bakery on the way to the bazaar, got caught in a torrential downpour and incredible winds that pretty much forced us back inside the shops, which were selling headscarves and abayas! That’s not what you think of when someone says China, right? The stormy weather meant that we found a little underground market, but didn’t find the actual International Bazaar. I went into a mosque to pray, the first time I’d done that in a long time. Trying to avoid the storm meant that it had become quite late by the time we got back to the hotel. Lots of places started closing what we thought was quite early, but maybe this was because of the weather, rather than the time? By the end of Day 1, or even halfway through the day, Beth and I have both already decided that we are coming back to this city. That’s gotta say something about the place. 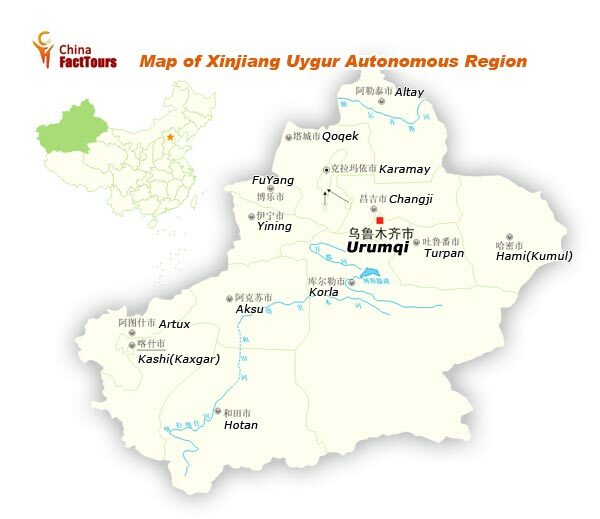 Attempting to describe Urumqi, I’d say it’s definitely much greener than expected, we both expected barren deserts or something, it’s definitely much greener than Beijjng, there are way less people, it’s hilly (Xinjiang is a mountainous region) and the air is fresher! There are less people smoking, less dogs (in fact, I can hardly remember seeing any today), no spitting spotted yet, and there are dessert places! Yum! Urumqi is a city with a totally different look to any of the other Chinese cities I’ve visited. Nuts, raisins, chocolates – clean and tidy! Posted in Foody, Tourism and tagged airport, bakery, culture, food, holiday, London, minaret, Muslim, night market, padlock, pagoda, park, pollution, storm, Summer, taxi, tourism, Urumqi, Uyghur, weather, Xinjiang. Bookmark the permalink. The Summer holidays. With which comes the end of my year abroad. Okay, not quite yet, but the end is in sight!! My exams (which started on Wednesday) finished on Thursday, bringing me to the end of my academic year abroad. I’m basically finished! 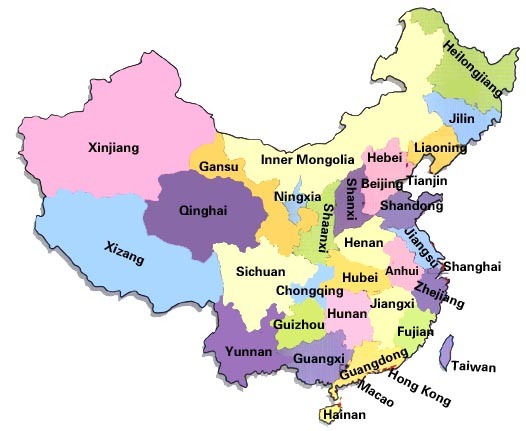 Our visas don’t run out until the end of June however, and as mentioned previously, I will be flying to Xinjiang on Tuesday and spend a bit of time travelling in the region. 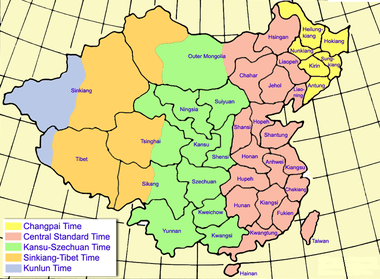 The plan is to spend a few days in the capital city, Urumqi, then take a 2.5hour train to Turpan, a city famous for its grapes, where we’ll stay a couple of days, and finally a 6hour train to Hami, famous for its melons. (‘Hami’ 哈密 is actually the same as the name for honeydew melons – hami gua 哈密瓜). Fruit seems to be a recurring theme, yes. Although we’ve booked hostels, we’ve yet to book our train tickets, because of the system in China, which means that you can only buy your train tickets 10 days before the date. And we didn’t have the time for that before exams. We’ve also been spending a fair bit of time trying to properly research and plan out our trip. In Urumqi’s vicinity are the Tianshan Mountains, and the Heavenly Lake, which does look rather heavenly in pictures we’ve seen online, but hopefully I’ll be putting up some of my own pictures soon! This is supposedly the ideal place where you can get a break from the stifling heat, with its clean and cool air, refreshing water and…. I can’t concentrate, this just sounds so HEAVENLY compared to the greyish yellowish whitish scene I could see out of my window for the whole day today. And for the last three days. It looks like a sheet has been hung over the outside of the window, for all the visibility out there. Anyway, back to the Heavenly Lake at the Tianshan Mountains, you can also spend a night out there in a traditional Kazakh yurt. When am I ever going to be able to do that?! I really hope we can make this happen! Plus! This time next week, I will be able to say (hopefully, fingers crossed, touch wood, etc etc) that I have been at the CENTRE OF ASIA. The very middle of the enormous continent that is Asia. It sounds much better in Chinese: 亚洲之心 (yazhou zhi xin) which translates to “The Heart of Asia”. Wow. I was impressed. And if you’re not impressed, it’s only because you must be jealous! In all fairness, there’s nothing actually there, except for a very..fanciful…marker, which probably tells you that you’re standing in the centre of Asia (now doesn’t that sound cool?! ), and there’s probably nothing to do but take a picture, and then…well, leave. But either way, I’m excited for it!! More in Urumqi includes the Food Night Market (Hell, yeah!!) and the Tianshan Grand Canyon. In Turpan, apart from the Grape Valleys, we can ride camels along the Flaming Mountains (this all sounds so surreal! ), and see ancient cities of pre-Islamic civilisations. Hami is going to be even more scenic, we can go to another part of the Tianshan Mountains again, if our visit there from Urumqi was so amazing that we want more, ride horses around what I expect to be another beautiful lake, we can go to the Grand White Rock (what a name…), as well as eat lots of melons and absorb a completely different kind of culture than the standard Han Chinese one that we’ve become accustomed to all year. I didn’t mean to write so much about this trip that hasn’t happened yet… I expect I’ll be repeating a lot of this when it actually happens, but well, I got carried away…. From Hami, we’ll get a 27 hour sleeper train back to Beijing – I already know this is most likely going to be extremely unpleasant, but whatever – I’m all for ‘experiences’! I’ll be spending my final week in Beijing, packing up this one year of my life here, before returning to the UK, with my mother who will have come out pretty much as soon as I return to Beijing. It’s all gonna happen so fast!! In the meantime, I wish I could say I’ve been truly making the absolute most of these few free days in Beijing, and regale you with exciting stories of final Beijing experiences, but in all honesty, there’s been a fair bit to do! Chilling has been on the list too, I won’t lie (some things can’t be helped), but researching for this trip has been and still is an arduous task. It’s not as ‘out there’ on the internet yet in terms of tourist destinations as a lot of well-known places are. We can’t find out everything before we go, so I’m certain a lot of it will be made up on the go, but that’s all gonna be part of the fun! Tomorrow is our Leaving Ceremony at uni, and if the Opening Ceremony was anything to go by, it’s going to be an extremely boring couple of hours of speeches. Lots of SOASians aren’t going, but I figure I might as well. I’m only gonna have one Leaving Ceremony in China, so, why not? Boring as it might be, I won’t know if I don’t go 🙂 My class is also planning on going out for lunch after, and it’s the last time I’ll see most of them ever again! Amazing grilled lamb kebabs, you say?! I’m so there. Hmm, I’ll be tasting some o’ those kebabs pretty soon…. Posted in Beijing: My Year Abroad, Foody, Lifestyle, Tourism, University and tagged adventure, camel, culture, exams, festival, food, government, grapes, Hami, Heart of Asia, holiday, kebab, melon, Muslim, nang, night market, pollution, sightseeing, SOAS, Summer, tourism, train, Turpan, university, Urumqi, Uyghur, weather, Xinjiang, yurt. Bookmark the permalink. As I was walking to uni on Monday morning, I saw a man sitting by a whole load of little bird cages on the side of the pavement. I remember seeing him one morning last week (for the first time), but I didn’t stop, because I wanted to make it to class on time. I hoped I’d see him again. When I did see this sight again on Monday, I was actually running later to class than I probably was that day the previous week. But I realised that, with this being my last week of uni here, and the fact that I can’t really afford to say things like “I’ll do it next time”, because there probably won’t be a next time(! ), I had to stop then and see what was going on. Ibby: Wow! So many birds..! Are they for sale, or? Birdman: Haha, no, not for sale. For fun! I: You have so many, what do you do with them..? B: And I like to listen to them… and see which one is good… you see? I: Ohh…so, which one is the best then? I: Which one is good then? I: Is it alright if I take a picture? As I took a few pictures, he piped up. I didn’t count exactly, but there must have been at least 20 cages! Inside each cage was a little container, similar in shape and size to that of a tealight. There was a piece of cucumber inside them, at which the birds had pecked away. Some cages had two containers, one with cucumber, and one with seeds. B: How did the sound come out? Can you hear them singing? I: Oh I just took a picture, not a video..
As I started taking a video, he asked me if I could understand what he was saying. They really do like this question. I stopped recording, all I could hear was a lot of cars on the road (although, thankfully, it hasn’t come through as loud in the actual video). I thanked him. He smiled again and asked me the inevitable question – Where are you from? As is also always the case, he repeated my answer (England) back to me as a question, for confirmation. I: Well, thank you 🙂 I should go now… I’m late for class. I wasn’t exaggerating when I said he was a man of few words. But he was a man of many birds! Also, I want to share the video, even though it’s nothing special, but that’s gonna take a bit more time to sort out and get up, so hopefully after exams and everything is over. Posted in Lifestyle and tagged bird, class, cucumber, culture, England, Ibby, sing, university, video. Bookmark the permalink. Last week, I wrote about a ‘job’ that required being recorded saying various things in English, as a native English speaker. They called back a few days ago, asking if we could ‘take part’ again. – snippets of news articles, headlines and political analyses, like: One in 7 parents said their child spent longer playing with the gift wrapping than the toy itself. – random sentences, for example: I see every cupcake baked, every sequin sewn. We are strong when our opponents are weak. Having visited India, I have seen first hand the tremendous progress being made. A wonderful collection of photos showing Tower Bridge under construction has come to light. – random words, random letters to spell out and various search topics, like Virgin flights, current Arsenal captain, University of Chile, Korea Electricity Power, Sonny With A Chance. – follow various instructions, like: Tell the hotel that you will arrive very late but that you will definitely want to take the reserved room, Tell your speech-savvy mobile phone to organise a conference call with [name], Give the navigation system the coordinates of your favourite restaurant (name, address, city), Call a bookstore to enquire about the availability, price and edition of a book. – answer various questions: Please tell me how to spell your name, What apps do you use most often on your mobile?, Where were you born?, Describe your favourite mobile. Not that any of the above were the least bit worth knowing, but after today’s recordings I really wondered what they were doing, especially because of the addresses and credit card numbers. I googled the company website though, and it’s all legit – building a database, ‘collecting speech data’. Before all this, however, while we were sitting in the little waiting room, waiting to be called in to ‘work’, we were approached by a guy who worked there, who explained to us (by this, I mean spoke for about 10 seconds) that he was making a surprise video for his girlfriend (why? ), and he wanted recordings of lots of people wishing her (again, why??). Apparently, they’d been together eight years, and he said “we might be getting married next year”. It was one of those situations where you can’t really/aren’t supposed to say no, so we asked him what language, English or Chinese? He said any language at all will do. Obviously this seemed a little odd, as if it wasn’t strange enough already, if your significant other presented you with a video of random people you don’t know at all saying things you don’t understand (although you’re told they’re all wishing you well), how would you react? So, jokingly, at least I hope so, Beth said “Well, how about Japanese then? (pointed at herself) or German? (pointed at me) Or Arabic! (still pointing at me)”. We laughed it off but he seemed pretty keen on this, so we agreed that because we both did German A-Level, we could come up with something in German. We asked him to give us a minute to think of what we’d say because thinking in a totally different language after such a long time without any practice proved really difficult. Instead of leaving the little room for a few minutes, he just stood there and watched us, and we couldn’t handle that kind of pressure… so we told him we’d just do it in English. He told us his girlfriend’s name, and that at the end of our message we should address her by name and say, in Chinese, “I wish you well” and “I love you”. With that awkwardness over, he thanked us and left the room. He returned a few minutes later….and asked Beth to do it in Japanese after all, because apparently the more international, the better. Me: Uhh, no, sorry, I really don’t speak anything but English. Me: *sideways evil glance at Beth for landing us in this* Sorry… I don’t think so. He looked back at Beth, who told him to come back in 5minutes because she needed to think about how to say it all in Japanese. So, the guy returns, iPhone ready in hand, films Beth’s Japanese, smiles happily and then moves to focus his camera on me, looking at me expectantly. He bowed to us in thanks as he left the room. Posted in Beijing: My Year Abroad, Lifestyle and tagged address, Arabic, culture, German, job, language, native, news, recording, video. Bookmark the permalink.